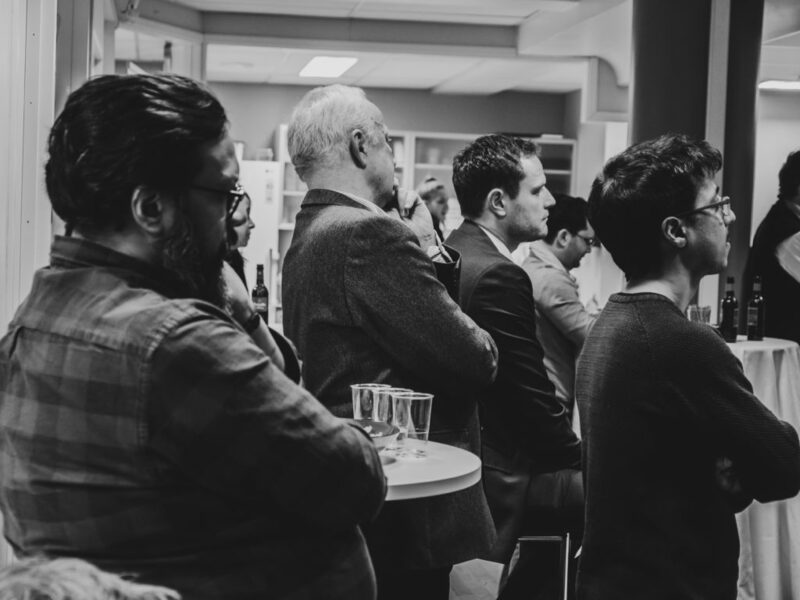 Close to 70 people came to BizBots Investor Kick-Off on the 17th of January to hear what the team has produced so far, who they are and the way forward. 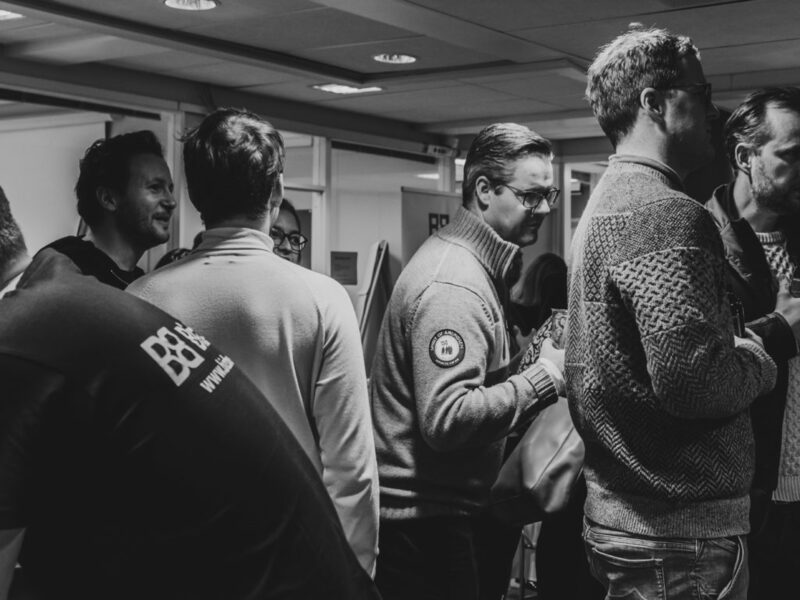 The purpose of this event was to launch a new funding-round by building trust in the product and the team. – Our UX people gave a walk-through of our design package and user flows from the first iterations to what we are deploying the next weeks. The timeline clearly shows how we listen to user feedback and continuously refine the user experience. 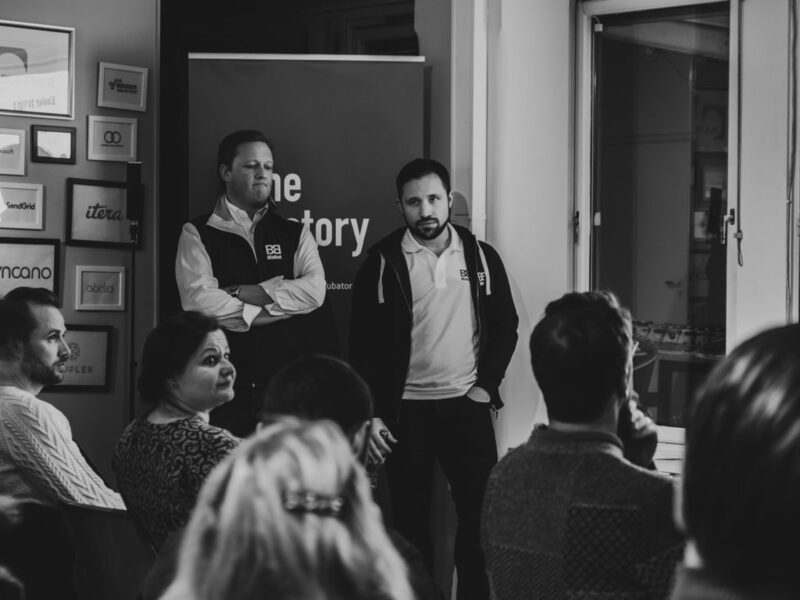 – We noticed a lot of interest in our product both from a customer and investor perspective. We are soon opening a new funding round and would love to get in touch with potential investors. Chief Technical Officer John Rush led the whole tech-team on stage to explain what they as individuals do, and whats next on the agenda. According to Didrik he wanted the event to be “tech-heavy”, to really address concerns that the tech team works remote. 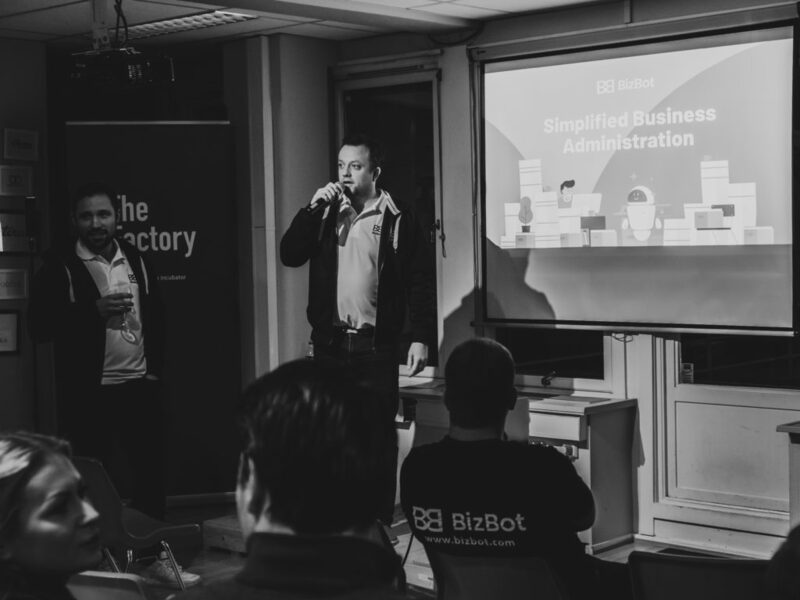 All 13 employees and consultants in BizBot were present at the event. – I think we can all agree that the team are experienced and well versed in what they are developing. 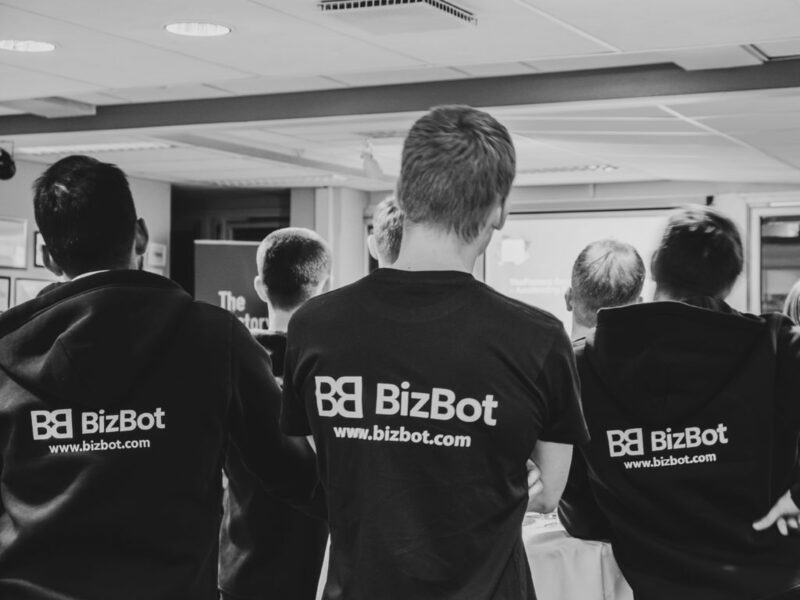 There is no problem too big on the programming side of BizBot that we cannot solve or deliver. It’s all about spending time to refine the products before we go to market. – We are building a complex system and platform, that will allow third party integration and development in all markets. Put in another way; A lawyer or company in France can use our components and infrastructure to build and launch products solving legal problems for french businesses on the BizBot platform. As can a developer, accountant or lawyer in Kenya do for Kenyan businesses. 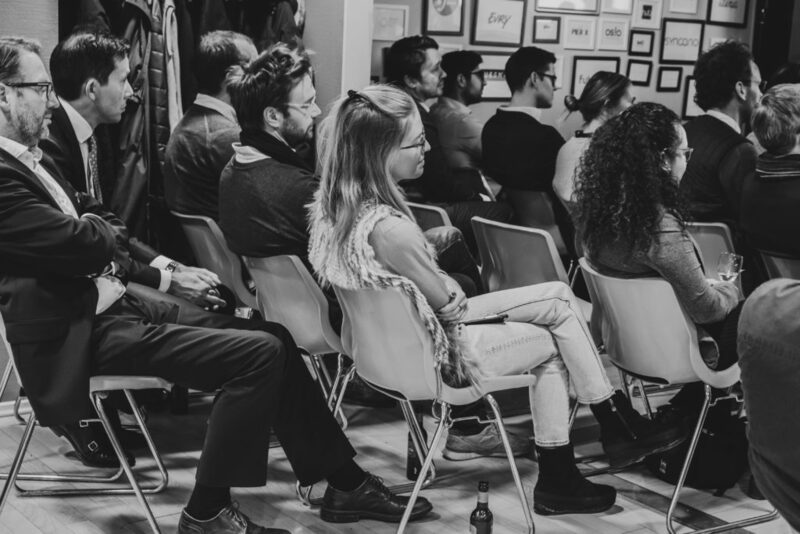 The last speaker was Madeleine Holbye from ScaleupXQ who talked about how business marketing has changed, and why BizBot has a great opportunity to grab marketshare in a global market place.